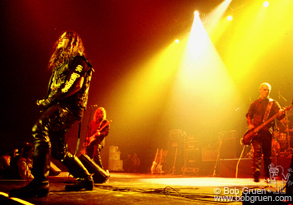 Life’s a Gas, Joey Ramone’s Birthday Bash, was one of the best shows New York has seen in years! Everyone was dressed for a party and in a very good mood. 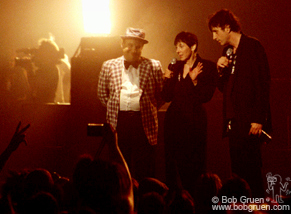 Little Steven was the MC, introducing some of Joey’s friends as speakers and the bands that played. There were also rare videos that were very funny and gave all a good laugh. 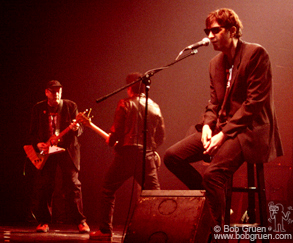 My favorite part was when the stage was empty and with no video, just the music track of the Ramone’s song “I Wanna Be Sedated” playing, the audience sang the words. The night was a very nice tribute to a very nice guy. 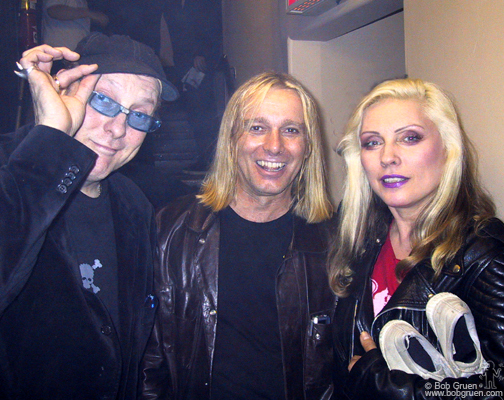 May 19 – Rick Nielsen and Robin Zander of Cheap Trick say “Hi” to eternally beautiful Debbie Harry of Blondie backstage at Joey’s Birthday party. 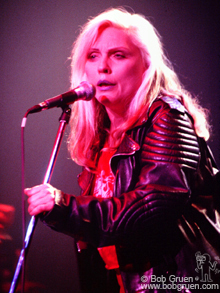 Debbie Harry led Blondie singing a set of hits and ending with the Ramones “I Wanna Be Your Boyfriend”. 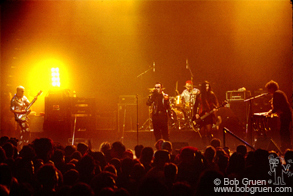 The Damned were a great surprise guest, flying to New York from England just for this show. They sang “New Rose” and “Neat Neat Neat” And “Smash It Up”. 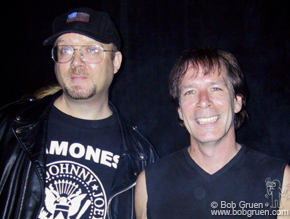 John Holmstrom and Legs McNeil, founders of Punk magazine came up after Blondie, a tough act to follow, but John’s voice was strong and sincere and Legs played some of his phone messages from Joey. 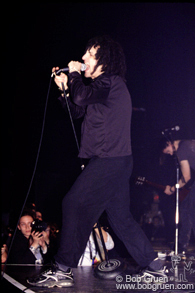 Jesse Malin sang with his new band Bellevue. (Watch for his new album out soon). 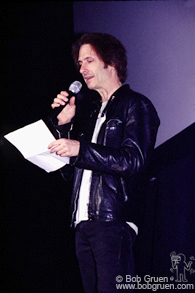 Lenny Kaye read a very moving farewell letter to Joey from Phil Spector, and sang a few lines as well. 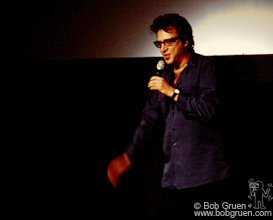 Richard Hell, who coined the phrase “Blank Generation” had some words for the fans. 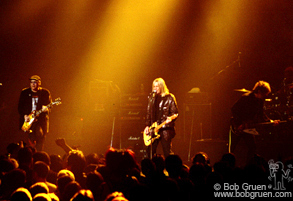 Joey’s favorite band, the Independents, played fast and loud! Cheap Trick rocked the house with “Surrender”. I was singing it all the next day. Rick Nielsen joins Daniel Rey backing Joey’s brother Mickey as he sings. 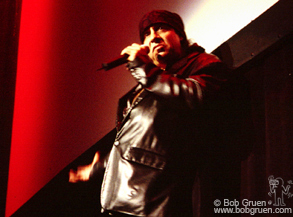 Bruce Springsteen bandmate and Sopranos star, Steven Van Zandt was the MC. 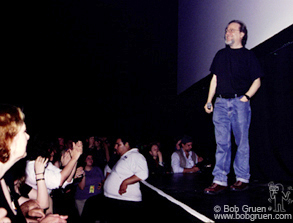 Original drummer, Tommy Ramone made an appearance to pay tribute to Joey. Local TV star Uncle Floyd recalled that the Ramones were his shows favorite guests, and sang Happy Birthday with Joey’s Mom, Charlotte Lesher, and his brother Mickey. 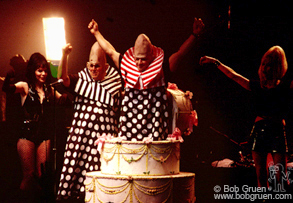 As the friends and fans sang Happy Birthday, a giant cake was wheeled onstage and out popped a pinhead. Then everyone in the place got their own package of cupcakes to enjoy.